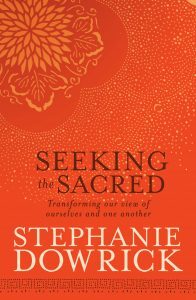 Using the idea of the earth as our most vital teacher, Dr Stephanie Dowrick invites us to renew our love for the physical universal. “As long as we are in the physical body, we are one with that universe.” This allows us to cherish the seasons of life and the truth that life is constantly renewing. “Nature is in us and we are in nature.” This talk, recorded in November 2013 at Pitt Street Uniting Church, Sydney, brings the richly potent ideas of ecospirituality to life and makes them highly relevant to all our efforts to save our world, to save all species and to enhance our joy and appreciation in living. Please note that all of the recorded video talks from the services that Stephanie Dowrick leads are available via InterfaithinSydney YouTube link.